Simple Shift is the latest breakthrough in electronic overdrive transmission control. No laptops or expensive technicians are required to completely control shift points, shift firmness, and torque converter lockup. All parameters are simply adjusted with easy-to-use dials on the end of the Simple Shift unit. Complete control of how and when your transmission shifts is at your fingertips. Included are complete diagnostic capabilities communicated via simple flashing LED's that can tell you what gear you're in, and whether or not your torque converter is locked up. 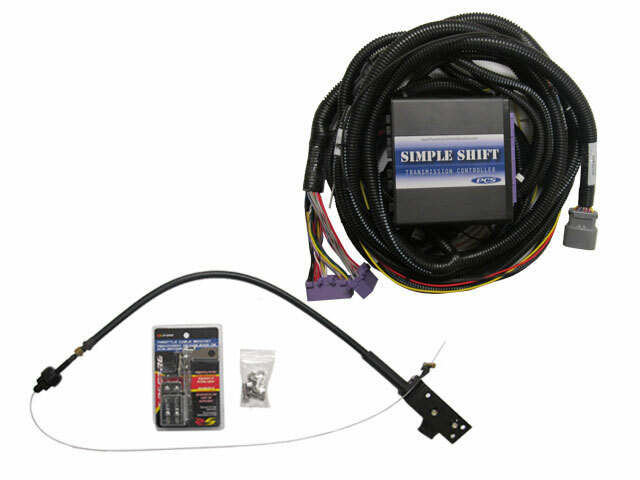 Simple Shift is the perfect solution if you want to use an overdrive electronic transmission in your project car, but don't want to worry about the controller. After initially adjusting the knobs, you can forget about the controller and enjoy your car. Simple Shift is available for most domestic four speed automatic transmissions. Simple Shifts are packaged as a kit to make ordering simple. Just choose the part number for your application and you will receive everything you need to get it done right the first time. 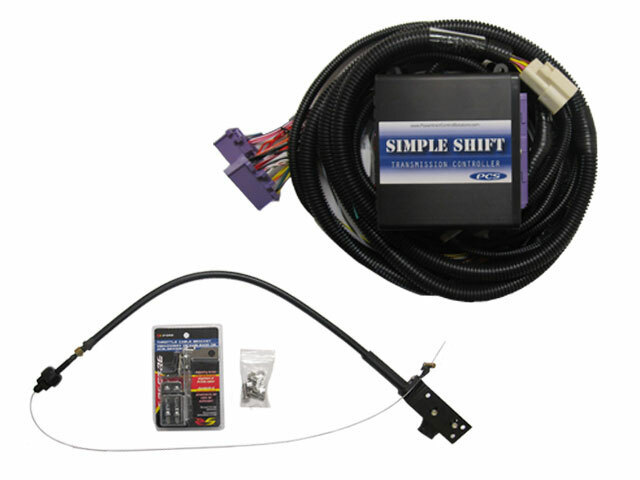 All Simple Shift kits come with a complete wiring harness tailored to your specific transmission, not a universal harness that fits most transmissions. 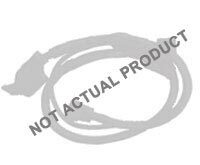 Each connector on the harness is clearly labeled to make the installation very easy to accomplish in your garage or workshop.